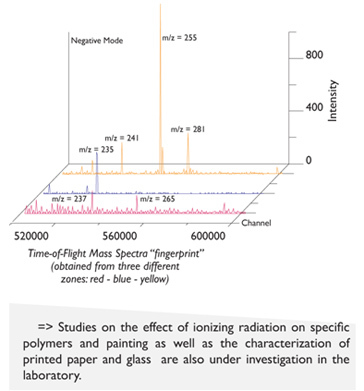 The nano imaging and surface analysis by mass spectrometry laboratory is recently established (July 2011). 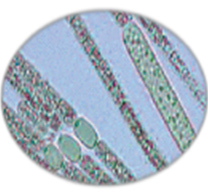 The used techniques are based on tunnel scanning microscopy and ToF-secondary ion mass spectrometry techniques. The first technique can allow topography studies for surfaces at nanometric scale while the ToF-SIMS technique allows the elemental, chemical and molecular analysis of surfaces and permits the obtention of molecular imaging and elemental depth profile with very high resolution (nm). Analysis and applied research in this laboratory are centered on polymer, painting, drugs, semi conductors and printing characterization. The laboratory is cooperating with the industrial sector and with different research centers and universities in several areas involving elemental and molecular detection. Hereafter, we show some recent results obtained in different areas like material sciences, pharmaceutical sciences and printing certification. Semi quantification and eventually absolute quantification of light elements in quaternary thin films deposited onto semiconductor substrates is investigated for BInGaAs/GaAs system. 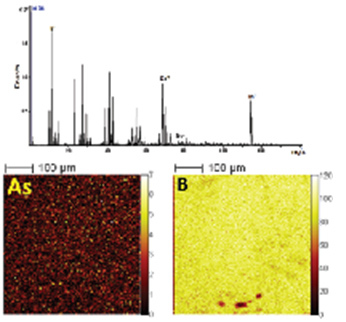 Surface homogeneity as well as potential diffusion of Boron in the substrate is studied. 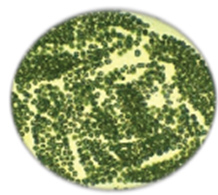 Food irradiation and analysis of cyanobacteria, fungi and their associated toxins. Food irradiation is a technology for controlling spoilage and eliminating food-borne pathogens, such as salmonella. Research on irradiated food has been initiated at the laboratory since the beginning of 2011 using Cobalt-60 gamma irradiators. 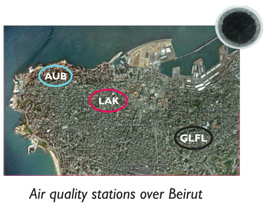 The purpose of this area is to study the effect of ionizing radiation on food products particularly those of economic importance to Lebanon in order to improve the microbiological quality and increase food safety.and to reduce the economic loss resulting from food deterioration. i) Determination of mycotoxins in different food commoditie like dairy products, apple, cereals, etc..
Development of new analytical protocols for pesticide residues in foodstuff. Optimization of analytical protocols to detect narcotic drugs and explosive�s traces in complex matrix. 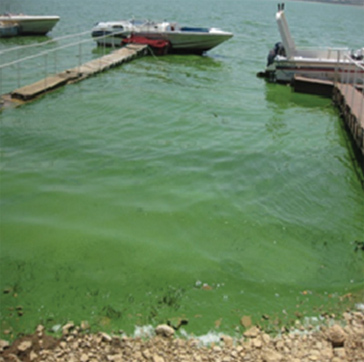 Analysis of Polycyclic Aromatic Hydrocarbons in sediments, air, drinking water and seawater. Development and implementation of passive samplers. 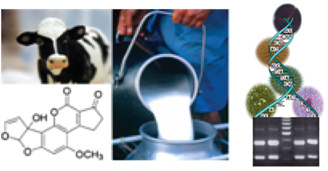 Analysis of veterinary drug residues in accordance to EU Directive 96/23/EC. 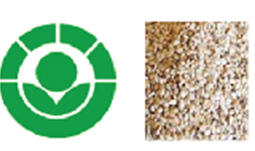 Identification of pesticides photoproducts using photo degradation process. 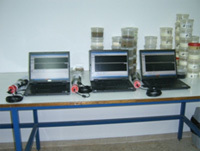 The laboratory, in collaboration with Internal security forces, Lebanese army and customs, provides scientific evidences relating to drugs and explosives analysis in chemical and biological samples such as cosmetics, powders, fluids and soil using gas and liquid chromatography coupled with mass spectrometry, based on their retention time matching and their spectral finger printing as legal defensible data. 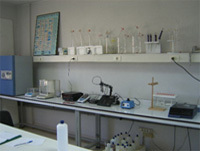 The laboratory employs a standard multi-residues methods for the determination and quantification of more than 120 pesticides residues from different chemical groups (Organochlorine, Organophosphorus, Organonitrogens, Carbamates, Pyrethroids) in fruits, vegetables, cereals and water by using GC-MS and LC-MS/MS. The pesticide residue values results are interpreted according to CODEX and EU international standards: (<0.01 mg/kg). The number of samples analyzed in the laboratory is in significant increase (by a factor of three in the last four years). 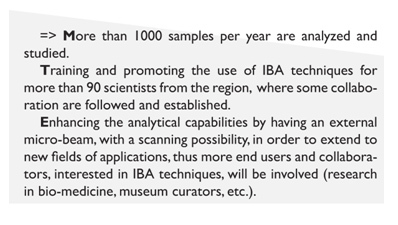 Actually, the number of analyzed samples is > 700 samples per year. An efficient QA/QC system is applied to demonstrate the accuracy, reliability and the robustness of the analytical results through internal quality control procedures and proficiency testing schemes, with highly satisfactory results. All this, will contribute to the analytical compliance of the laboratory to ISO 17025. 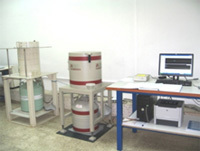 The laboratory offers services in the analyses of (PAHs) and aliphatic hydrocarbons in water. A new fast and reliable in-house method using solid-phase extraction technique followed by gas chromatography - mass spectrometry (GC�MS) analysis was developed, validated and published recently. Sixteen PAHs classified by the US Environmental Protection Agency (EPA) as priority hazardous substances and twenty four aliphatic hydrocarbons with carbon chain lengths ranging from n-C10 to n-C33 are analyzed in the laboratory with very low detection limit (parts per billion) using high sensitive and robust analytical equipment. The laboratory is equipped with a NEC-5SDH 1.7 MV tandem pelletron accelerator. The analytical capabilities available on the facility include particle-induced X-ray emission PIXE, proton induced gamma-ray emission PIGE, Rutherford backscattering spectrometry RBS and elastic recoil detection analysis ERDA. The main strength of IBA is to be multi-elemental, fast, non destructive and could be performed simultaneously. Hence, they could determine the elemental composition of different kind of samples, covering nearly the whole periodic table, with sensitivity for some elements down to ppm level (part per million). Furthermore, they can measure the stoichiometry and thickness of thin films, or multilayer, elaborated on bulk materials with a possibility to perform elemental depth profile; art and archeology, environment, materials science, pharmaceutical science and bio-medicine. Determination of elemental depth profiles, thickness and stoichiometry of thin-layers or multi-layers. Then, based on IBA results, the physical, electrical or optical properties will be correlated with experimental parameters of the process of synthesis of materials such as semiconductors, alloys, detectors, solar cells, nano-particles. 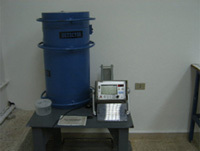 Determination of toxic, pollutant, harmful or nutrient elements in samples such as food, aerosol, soil, sediment, paint. 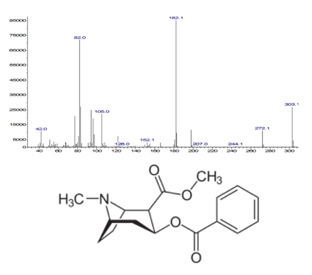 Quantification of heteroatom containing active ingredients in commercial solid drugs. 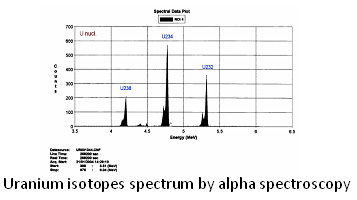 - Gamma spectrometers with HPGe detectors of relative efficiencies 30 % and 40 % , and with extended range HPGe of Relative efficiency 50% with Beryllium window dedicated for radionuclides analysis. -Qualitative and quantitative analysis of gamma emitters in different sample matrices (environment, consumable products and food) Gamma spectrometer with NaI(TL) detector for Total Gamma measurements. A quality system according to ISO standard 17025 is already implemented, preparing the laboratory to be accredited. - Protocol for Am-241 determination by electrodeposition on a stainless steel disk, is under development. - Benzene synthesis line for preparation of counting medium of C-14 (benzene) , then counting by Liquid Scintillation Counter after addition of suitable cocktail. 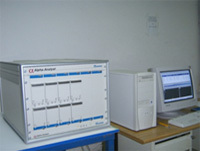 -Calibration of equipments is performed with Ra-226 calibration box . 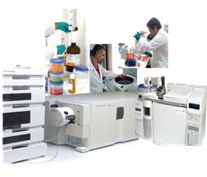 The IMS laboratory is equipped with 2 Harshaw Reader 4500 system to perform the reading of dosimeters. The thermoluminescent dosimeters (TLD) materials are LiF. The TLD is inserted in a specific holder labeled with the user�s ID and the code of the institutes. The results are evaluated according to the ICPR 60. the maximum permissible dose per Year for Hp (10) is 20 mSv and for Hp (0.07) is 500 mSv.